Carrie goes for a run with the mayor of St. Paul, Minnesota, Melvin Carter! Melvin discusses how he got into track and field at an early age, the importance of fitness in his life, and his priorities for his first term as mayor. 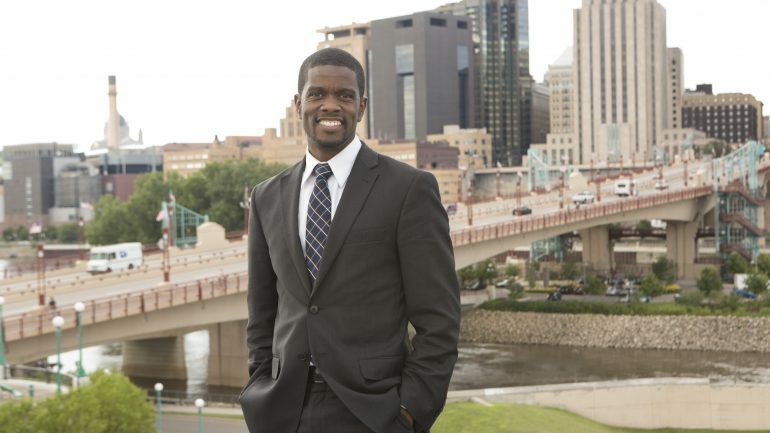 Melvin Carter is a fourth-generation Saint Paul resident, Saint Paul public school graduate, former Saint Paul City Council member, father, and Saint Paul’s Mayor. Melvin grew up in the Rondo neighborhood as the son of one of Saint Paul’s first black police officers, and a teacher (who now serves as a Ramsey County Commissioner). He attended Saint Paul public schools, ran track at his neighborhood rec center, and graduated from Central High School. He currently lives blocks away from where he grew up with his wife, Dr. Sakeena Futrell-Carter, and the youngest three of their five children. Melvin has been working to engage, enfranchise, and uplift people not only in Saint Paul, but also across the state and nation. Most recently, he served as Executive Director of the Minnesota Children’s Cabinet, advising Governor Mark Dayton on early childhood policy. Prior to joining state government, Melvin represented Ward 1 on the Saint Paul City Council from 2008 to 2013. In the run up to his campaign for Mayor, Melvin spent a year in conversation with neighbors through a series of listening sessions called Imagine Saint Paul. His unconventional campaign focused on grassroots organizing and earning support from every corner of the city.